Wrapping paper featuring a pattern of basketballs and white stars on a dark blue background. 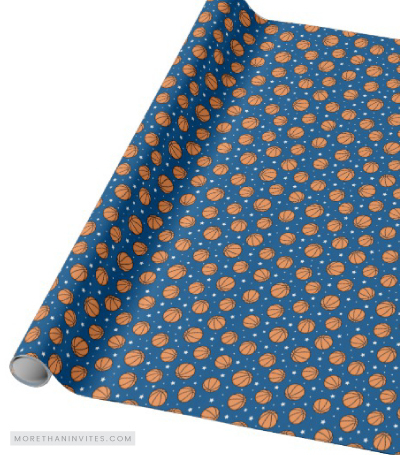 Ideal gift wrap for a basketball fan, coach or player. Available from Zazzle.